Jones Barrel Company also offers a drum disposal service. Eventually, every container will reach the end of it’s life cycle. It is especially important at this time to handle this process RESPONSIBLY. The Comprehensive Environmental Response, Compensation, and Liability Act of 1980, most commonly referred to as C.E.R.C.L.A. or SUPERFUND, details strict rulings in regards to non-empty containers and the liabilities assumed by those mishandling these containers. We work with our customers to help limit their liabilities. 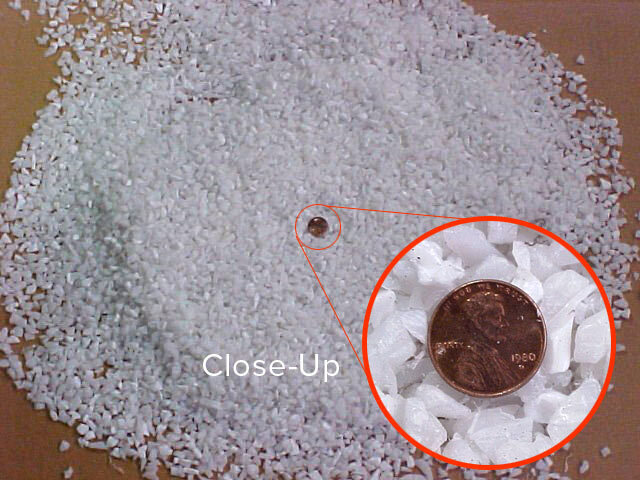 Plastic drums are ground on site and the pellets are then recycled. Steel drums are crushed, also on site, to approximately six inches in height and then recycled. Initial contact with Jones Barrel Company will include our taking the time to review the various government rules and regulations associated with empty containers. We will also try to determine at this time, what type of container your have available, and the products these containers previously held. Decisions on the acceptance or rejection of drums are according to the following guidelines. For our customer’s protection, as well as protecting our employees, and environment. The following rules and guidelines established by the United States: Occupational Safety & Health Association (O.S.H.A. ), the Department of Transportation (D.O.T. ), and the Environmental Protection Agency (E.P.A. ), will be strictly enforced and followed in recycling your empty containers. O.S.H.A. – O.S.H.A.’s hazardous communication standard (CFR 1910.1200) requires that we receive from our customer’s the S.D.S. on the previous product in the container, before we accept any drums for reconditioning. This allows us to review the S.D.S. to insure all safe handling procedures are followed and to determine if any special handling procedures are required. Once received, your S.D.S. are kept on file in our office. We will require new S.D.S. be sent as you receive updates, or if you have a change in product. After the above requirements are met, we will then be able to make arrangements for the shipment of containers. We work with our customers to establish a paper trail on the empty containers. This would also include the company shipping the empty containers to complete and return an “Empty Container Certification Form” before shipment. This helps to insure that product you have purchased is used by your company. A copy of this form can be found through the following link. When empty containers arrive at our plant, we will visually inspect the incoming drums. At this time we will be inspecting drums to determine if in fact they are empty according to R.C.R.A standards. Containers that are not empty according to these standards will not be unloaded. These drums will be rejected. They will be marked as not empty, left on the truck, and returned to the sender freight collect. 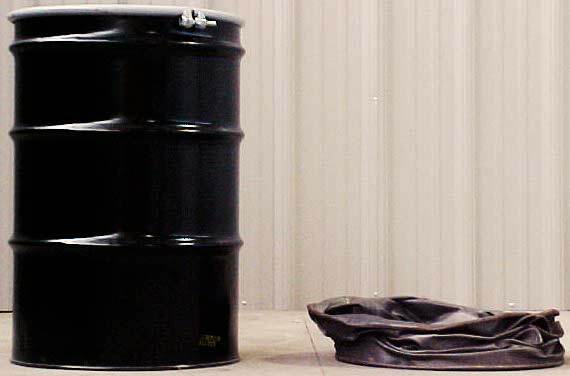 Whether your drums are accepted by Jones Barrel Company for reconditioning or disposal, we can guarantee the de-identification of your company’s R.C.R.A. empty containers. We will work with you to develop a partnership to insure proper handling of your empty containers.